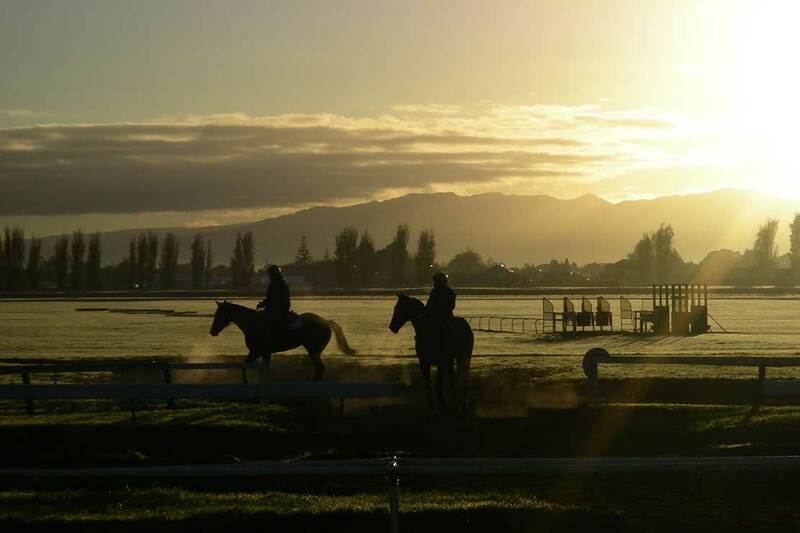 New Zealand race horses fare better than those overseas. New research has shown that racehorses in New Zealand have a lower risk of injury than in other countries, with further work needed to explain why. The study, from Massey University’s Equine Research Centre, examined New Zealand race records and reports over six racing seasons between 2005 and 2011. During this time there were 188,616 race starts for 16,646 individual horses, with only 177 horses failing to complete a race for health-related reasons. Musculoskeletal injuries on race-day, which include fractures, tendon and ligament injuries, lameness and soft tissue injuries, accounted for the majority (77 per cent) of these non-completions, occurring at a rate of 0.72 injuries per 1000 starts. When these numbers are compared to other racing jurisdictions worldwide, the rate is significantly lower, with recent work from the United Kingdom showing a race-day musculoskeletal injuries of 2.1 injuries per 1000 starts and research in Kentucky in the United States reporting a rate of 4.1 injuries per 1000 starts. Cardiac and respiratory events accounted for the further 23 per cent of non-completions. Massey’s Dr Charlotte Bolwell says, “while we can speculate that the lower rate of musculoskeletal injuries may be due to the management and training of horses in New Zealand, the research requires further information about the horses’ training to make these connections or to establish other factors. Establishing a direct link between management and training of horses in New Zealand and the rates of injury during racing will require more work, but the numbers show that such a study is needed to protect animal welfare by further understanding what causes injuries to be lower or higher. Some early risk factors identified showed the condition of the track and the length of the race had an effect on non-completion, with tracks that were described as "dead" or "slow" showing reduced incidence of musculoskeletal injuries, as well as races shorter than 1200 metres. The research team included Massey's Associate Professor Chris Rogers, Dr Erica Gee; and Colorado State University’s Professor Wayne McIlwraith. Read the study Epidemiology of Musculoskeletal Injury during Racing on New Zealand Racetracks 2005–2011’ was published in Animals.